The events of 9/11/01 still are prominent in the memories of all Americans who witnessed what transpired that horrific day. Those events led to the wars in Iraq and Afghanistan. Those wars led to many veterans obtaining debilitating injuries that required much rehab along with a permanent change in their way of life. That inspired founder John Gonsalves to create a fantastic charity that still thrives today – Homes For Our Troops. This top notch charity helps create specially adapted homes made specifically to meet the needs of individual veterans who need these modifications to allow them to be self sufficient. We quickly jumped on board early in supporting them. We felt it was about as worthy a cause that there could be. At this historic anniversary, what better time could there be to make a pledge to help support these wounded veterans and say thank you in the best way possible. We hope you’ll give generously. Here is another post showing our customer Two Post Lift pictures. The latest set of pictures is provided by Sean Martinez from two locations, Tucson, AZ and McKinney, TX. 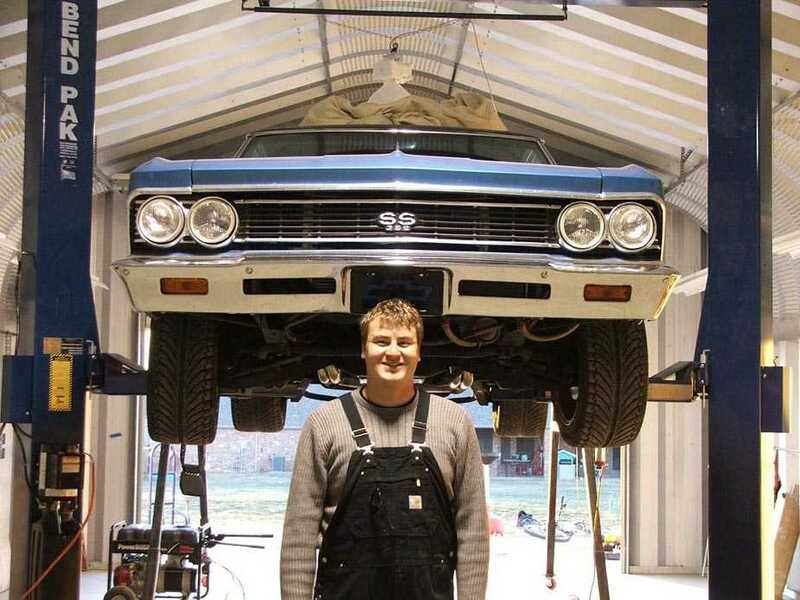 He needed a two post lift to perform work on his 1966 Chevelle. He wanted a lift that was reliable, from a manufacturer with a good reputation and with certain key features. He also demanded a lift that was ALI Certified and one that has a solid, comprehensive warranty. With his requirements for quality, features and safety, we had only one lift in mind. We recommended the BendPak XPR10AC two post lift. It has top of the line features, like direct drive hydraulic cylinders, 53 inch tall lift carriages, triple telescoping arms in the front, along with the famous BendPak 5/2/1 warranty. It has the rugged construction that Bend Pak is known for and the best powder coating system in the business. Plus, even though it is an asymmetric lift, it has the ability to position the car symmetrically as well. Thanks for the pictures Sean. You are currently browsing the Car Lift Blog blog archives for September, 2011.